Eastern gamagrass (Tripsacum dactyloides) is a perennial, native, bunch grass in the Poaceae family. Its large size makes it an excellent specimen plant for the landscape. At maturity it will be approximately 6 feet by 6 feet. The foliage is a deep green and sword-like giving the plant a thick, bushy, tropical, appearance. The leaves are generally 2 to 3 feet in length and 1 inch wide, flat, and hairless (glabrous). The large flower stalks (inflorescence) reach approximately 6 feet in length, and appear in early summer. 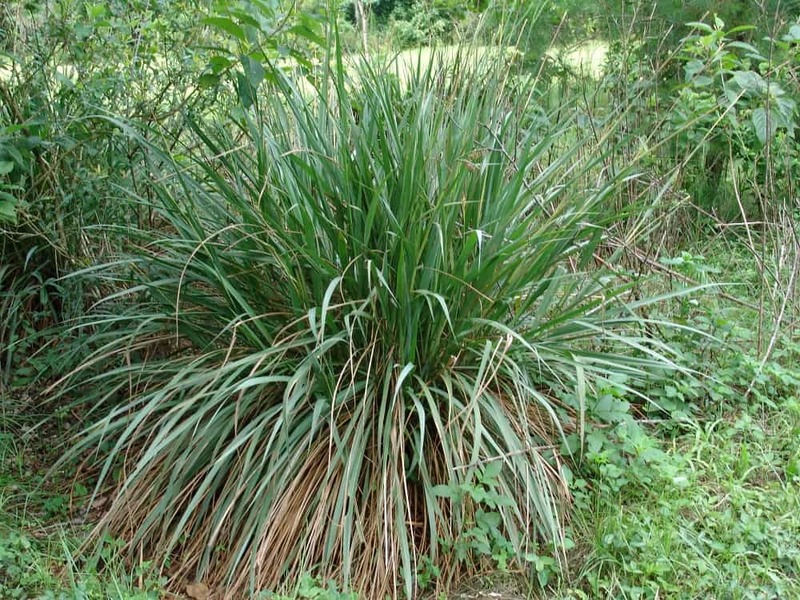 It is found throughout the southern states growing in wet bogs, ditches, hardwood hammocks, riverbanks, open swamps, pine woods, and flatwoods. Evidence shows that it was one of the dominant grasses of the true grasslands of the southeast before settlement. It grows in many mesic sites, but can be grown in the landscape in much drier conditions. It is tolerant of full sun to filtered sun, average to moist, sandy to organic soil. 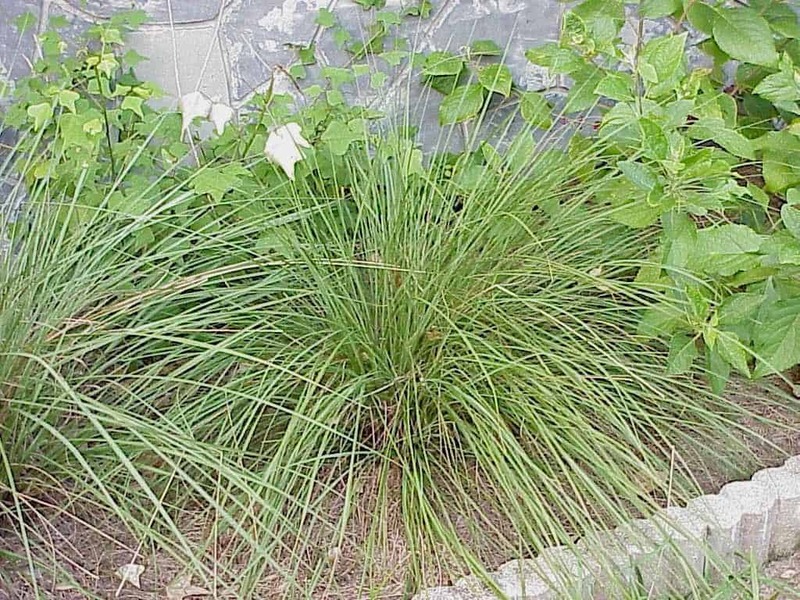 Gamagrass is an excellent landscape plant for wildlife. The seeds are eaten by a variety of wildlife, and the foliage provides good cover. It is also considered high quality forage for cattle and has recently achieved a good deal of popularity. However, since rhizomes must be dug and planted in order to get it established it has not yet taken off as a forage plant. Propagation can be achieved by seed, but it is much easier to divide mature clumps into smaller plants. Florida mock gamagrass (Tripsacum floridana) can be used as a specimen or mixed in with wildflowers to produce a prairie effect. Its mature size is approximately 2 feet by 2 feet. The leaves are generally 1/2 an inch wide and 18 inches in length. The inflorescence reaches approximately 3 feet in length, and appears in early summer. Florida mock gamagrass is found growing on low, rocky pinelands in southern Florida. In the home landscape it is tolerant of full sun to filtered sun, average to moist, sandy to organic soil. Propagation can be achieved by seed, but it is much easier to divide mature clumps. It makes an excellent landscape plant for wildlife. The seeds are eaten by a variety of wildlife, and the foliage provides good cover. It is also considered high quality forage for cattle.